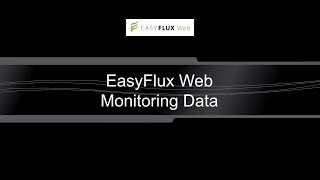 EasyFlux™ Web Self-Hosted is a web-based software tool for monitoring CR6- and CR3000-based Campbell Scientific, Inc. eddy-covariance systems. 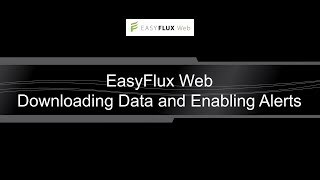 EasyFlux™ Web Self-Hosted is a user-installed version of EasyFlux™ Web that allows users the ability to install on their own server and control updates of the software themselves. Monitoring a network of eddy-covariance systems is made easy with real-time data monitoring, customizable alerts, and data download capabilities. EasyFlux™ Web is compatible with open- and closed-path eddy-covariance systems. EasyFlux™ Web functions with a Campbell Scientific CR6 Measurement and Control Datalogger running either the EasyFlux-CR6OP program for open-path eddy-covariance systems or the EasyFlux-CR6CP program for closed-path eddy-covariance systems, or with a CR3000 Micrologger® running the EasyFlux™ DL program for open-path eddy-covariance systems. 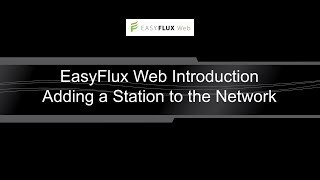 When a station is added, EasyFlux™ Web automatically pulls station information available from the program running in the data logger (ecosystem, latitude, and longitude).